Influenced mainly by melodic euro metal. Scorpions, Judas Priest, zeppelin. 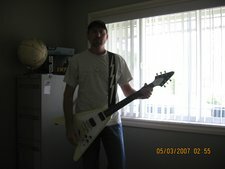 Love Queensryche, triumph, ect...Just looking to get out and jam and who knows what. I'm more into playing rhythm than lead.